First made popular in 16th and 17th century France and Italy, iron balusters have withstood the test of time. 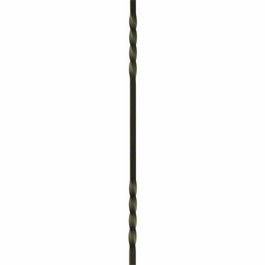 Iron balusters from Stair-Treads.com include a wide variety of wrought and cast iron balusters, newels, shoes, and adjustable knuckles that feature the unique touch of the blacksmith combined with museum quality standards - uniting the traditions of the past with an artistic and elegant choice for today. Whether choosing a single pattern or opting to use a combination, you are sure to enhance your home’s beauty with a touch of classic Old World craftsmanship. 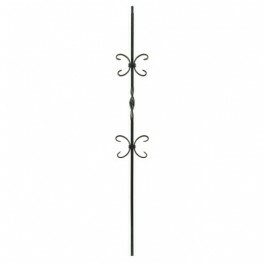 Twist Balusters and Basket Balusters are great for mixing together. 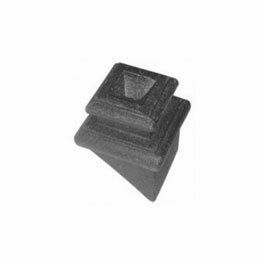 There are many options and designs you can make with them. 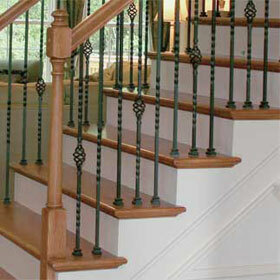 For a simple, classic look these balusters are the way to go. 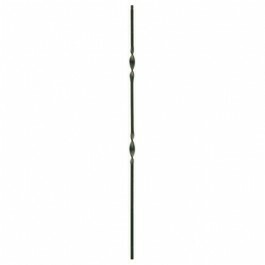 Balusters that are hollow weigh less than solid iron balusters. 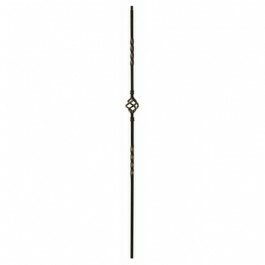 Because the inside of these balusters are hollowed out, shipping and transporting them is easier. 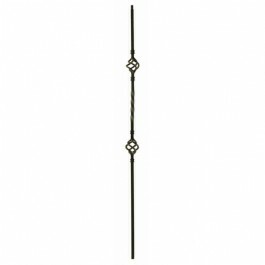 Knuckle balusters have a decorative piece that look like a little a knuckle. This piece is actually adjustable, so you can move the knuckle up and down on the baluster, wherever you think it looks best. 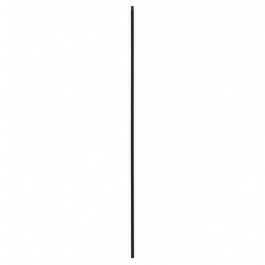 The Ribbon Balusters resemble the Twist Balusters except the twisted part is wider, just like a ribbon. 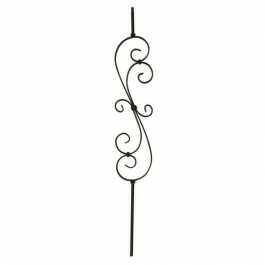 These are an elegant upgrade to the more common twist or basket iron balusters. We carry a full line of iron baluster accessories and installation tools to make the balusters look more complete and installation a snap. 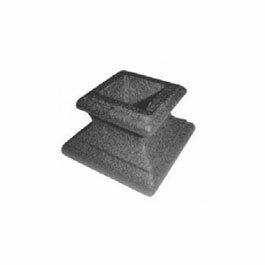 We carry flat shoes for the bottom of the baluster where the it meets the tread as well as pitch shoes (sometimes called "rake shoes") for where the iron baluster meets the handrail. 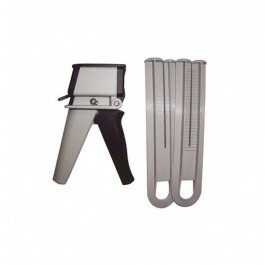 We also carry the tools often used for installation of iron balusters. The dispenser gun applies epoxy in holes drilled into the tread and handrail to secure each iron baluster in place.